We spend a lot of time in the kitchen. Whether it’s for cooking, socialising or doing work, you can’t deny that the kitchen is the heart of all homes. 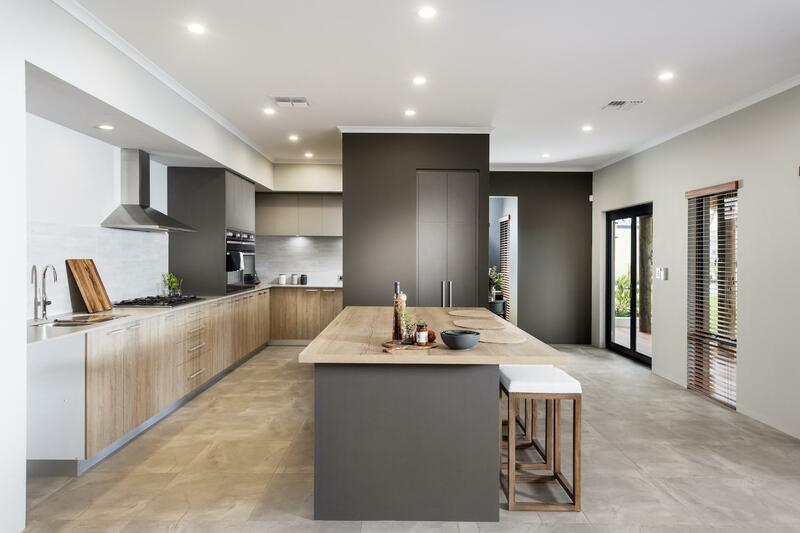 A kitchens layout is very much a question of personal preference but if you want to take your cooking and entertaining experience next level, then consider the elements that make up a ‘chef’s kitchen’. Entertaining Flow: The most important consideration when designing a chef’s kitchen is the layout and overall entertaining flow of the space. The kitchen is one of the most social rooms in the house, and if you like to entertain it will need to cater for groups small and large. 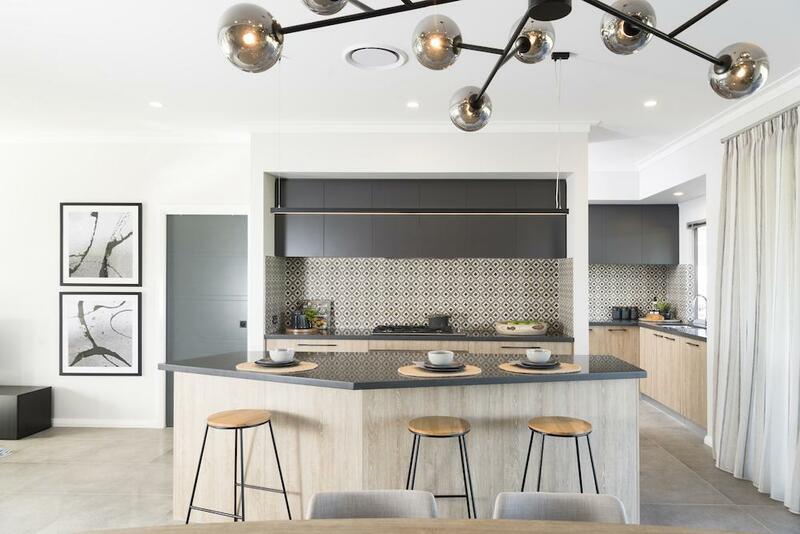 The space needs to be visually open and allow people to connect with the activities happening within the kitchen. A chef also requires the space to work without interference. When visitors come you want to be able to cook at one end of the island while guests gather around nibbles and drinks placed at the other end. Place stools at the end guests sit and chat at, however ensure you able to face them as you cook. Efficiency of Movement: A chef needs to take the least amount of steps possible when cooking in a kitchen. This means you want the distance from the refrigerator to the cooking surface to be as minimal as possible. The center island will be your most important feature, everything else flows around this because everything tends to come off the cutting board. The general flow of a chef’s kitchen is from the fridge to the cutting board, to the stove/oven, and then over to the sink. As a result, a small walking area aids in efficiency and allows the balance of the space to be taken up by those watching. Countertops: A Chefs kitchen should be uncluttered to make the cooking process more efficient. The counter space is an extremely valuable element in the kitchen for preparation of ingredients and serving. A chef likes to be able to plate meals all at once and therefore having the space spread is crucial. The size of your countertops is also important for prepping and stacking dishes. Sinks: A chef’s kitchen will have a decent sized sink or two. A smaller sink off the island is a very handy inclusion to have as well as just your regular countertop double sink. Two sinks allows you to perform separate tasks, such as cleaning dishes and preparing food, with ease. Consider choosing one with a drainboard as it’s great for drying dishes, convenient, and makes a great space for fruits and vegetables to dry after washing. Appliances: Kitchen appliances are very personal choices. Some use their freezers more for storing food and some prefer huge refrigerator space, opting for the choice of a bottom freezer. Consider including a bar refrigerator outside of your kitchen for storage of extra supplies such as milk, wine and other beverages. A second fridge comes in very handy for chilling drinks during parties when the main one is full of food.